Landmarks EP is being pressed! Fall release planned. It's been a few months since out last update here, but we wanted to bring you all up to speed on our summer activities. We've been hard at work getting the Landmarks EP ready for production. After much work preparing the record jacket, dodging potential manufacturing issues, etc., we're happy to inform you that the pressing process is well underway at this point and the record will be out, barring some sort of catastrophe, later this fall. We don't have an exact release date yet, but stay tuned. For the most up to date information, please follow us on Facebook and Twitter. More importantly, follow Landmarks on Facebook and Twitter. These guys are making great music that you don't want to miss. If you'd like to preview the EP you can listen to it below. Right now, plans are being made to get this EP pressed to vinyl. We'll keep you posted as to when it will be available and all the other details of the vinyl package. In the meantime, stay connected with Landmarks and Walk-In to get all the details as they become available. Don't miss out ! Get to these shows. FOR SO LONG (LIVE SESSION) from Sister Crystals on Vimeo. It really helps to have friends who have great cameras and know what to do with them. 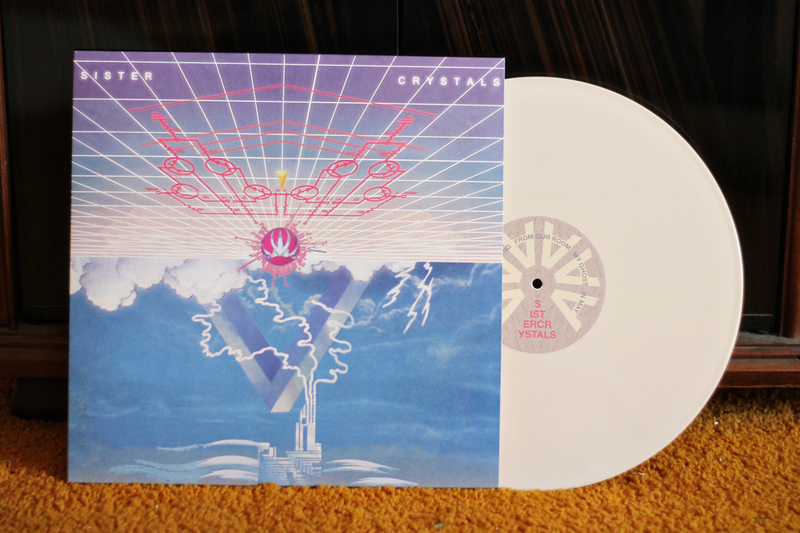 Check out these great pictures of the Sister Crystals LP my friend Maura put together. 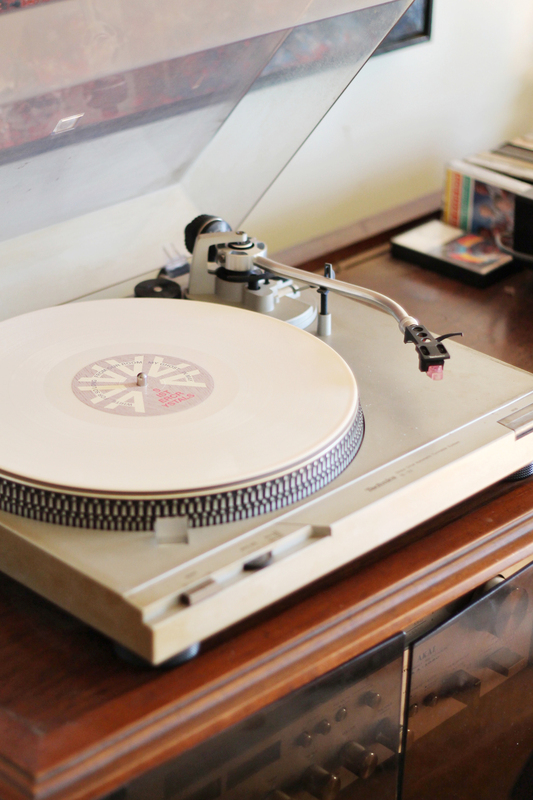 Of course pictures don't allow you to hear the spectacular sounds that bone colored vinyl has trapped inside it's grooves. Order a copy and complete the package! Check out more of Maura's photography right here. Sister Crystals album is out today! Today is the day! After nearly 18 months of hard work, Sister Crystals have unleashed their debut LP. You can head over to Soundcloud right now and listen to the entire album. click this link to ORDER THE RECORD. 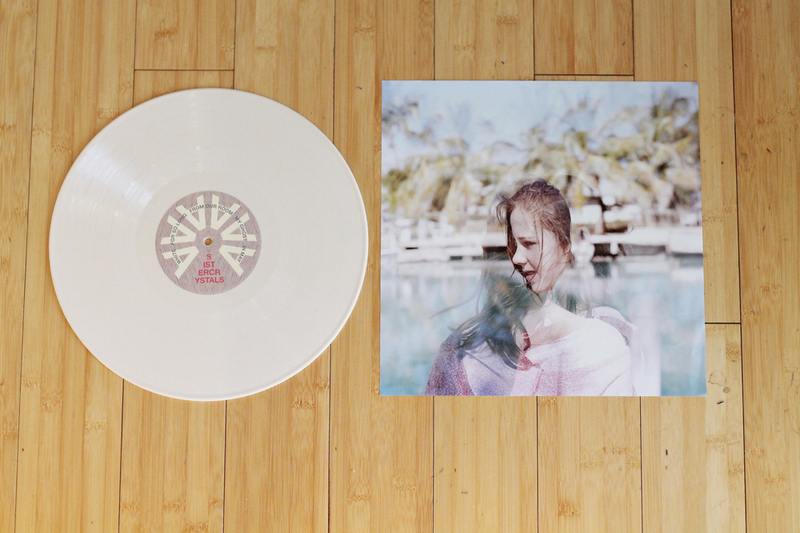 The LP is a limited pressing of 500 copies pressed on bone colored vinyl. It comes with a full color insert and a free download of the record. 1) You can order the LP directly from Walk-In Records. If you pre-order the LP you instantly get a chance at winning a test pressing of the LP. Also, the first 40 pre-orders get a free silk-screened poster. All that and you get a copy of what's sure to be your favorite record of 2013. Pretty sweet deal! ORDER YOUR COPY NOW!! 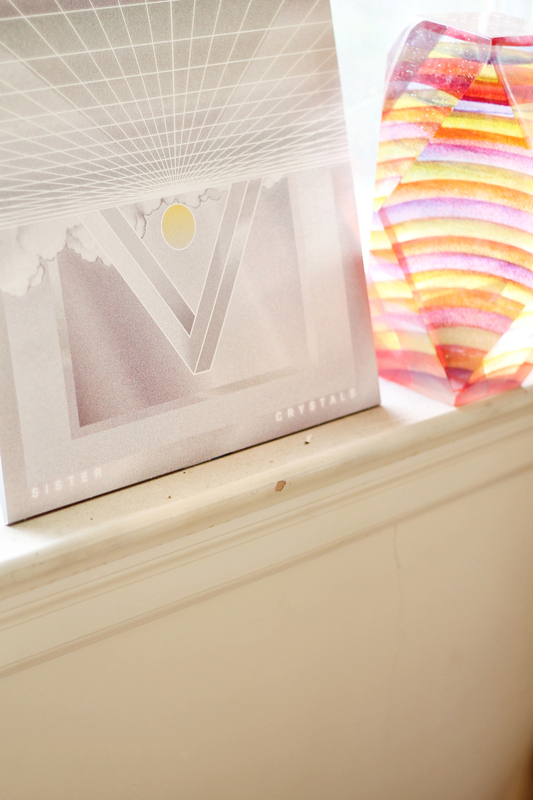 2) You can order the LP from one of our favorite online record stores, INSOUND. They've got lots of great records, so if you want your Sister Crystals LP and you need to pick up the Kurt Vile and Tame Impala LP too, you can do some one-stop shopping. ORDER FROM INSOUND NOW!! 3) You might be saying, the internet is awesome, but I really like to support my local record store. I'm not ordering your damn records online. You put those records in my local store or else. We say, settle down there big guy, no worries. The Sister Crystals LP is being distributed to retail stores through our friends at Carrot Top Distribution. If you don't see the LP in your local store, just let them know that Carrot Top is carrying the record and if your store works with Carrot Top they should be able to get you a copy. Carrot Top is taking pre-orders from retail, so if you want it on release day ask your local shop to pre-order it now. 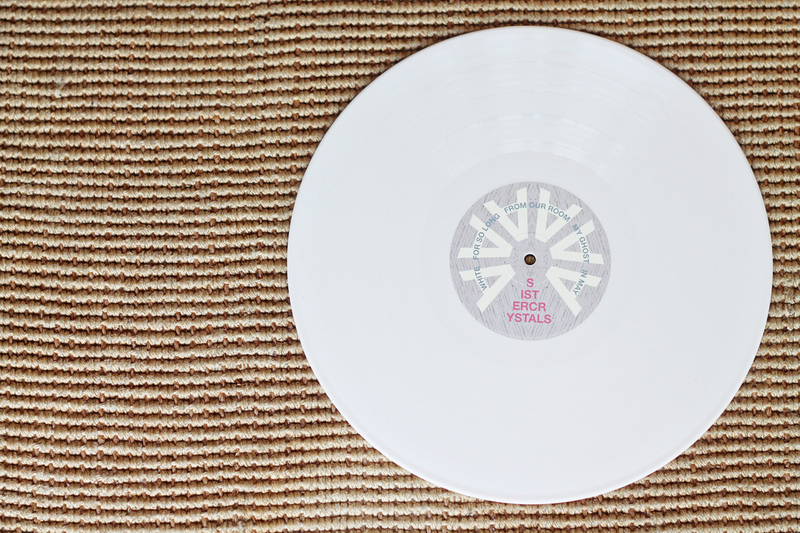 The first pressing is limited to 500 copies pressed on bone colored vinyl. 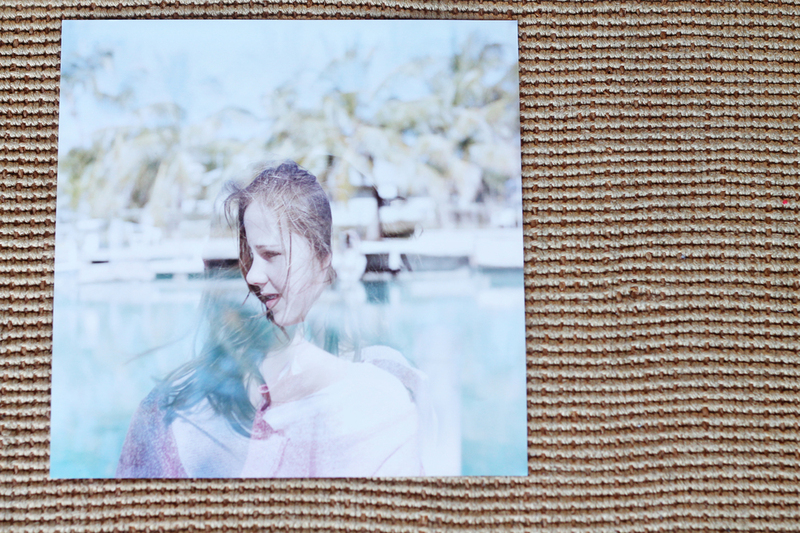 Each LP comes with full color insert and a coupon for a free download of the entire album. PRE-ORDER BONUS!! One random pre-order will receive a free test pressing of the album. 40 pre-orders will receive a free screen printed poster with their order. The record features nine tracks and clocks in at just under 40 minutes. All pre-orders will ship to arrive on or near the expected release date of June 4, 2013. We had a few t-shirts made for those of you who love us so much you want to advertise it to the world. The shirt features the Walk-In Records logo on a charcoal heather shirt. It comes in lots of sizes but numbers are limited so grab one while you can. BUY ONE HERE! The time has come to bring you the first taste of the brand new Sister Crystals record. Here's the first single, For So Long. 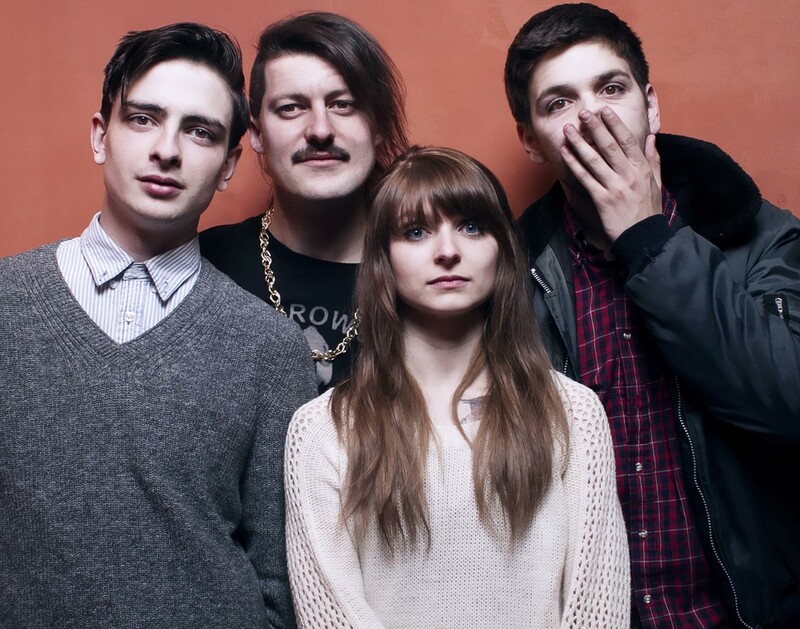 The track comes from their self-titled debut LP which we plan to release in May. Enjoy this song and rest assured there is a lot more where this came from. There are quite a few things percolating around here and I wanted to share an update before things get really crazy. First of all, at the end of January, Jordon Salveson released an amazing six-song EP called Devil, Don't Wake Me Up. The fine folks at Space Giraffe had this to say about it, "... Devil, Don’t Wake Me Up is the perfect musical companion for late nights in your own company. Six haunting and well composed songs that manage to hit the sweet-spot of being interesting and diverse listening, but simple in their nature and performance." Get your turntables warmed up because we getting ready to release Sister Crystals' debut LP in May. The album was recently mastered by Roger Seibel at SAE Mastering. Roger has mastered records for the likes of Avail, Death Cab for Cutie, Elliott Smith, Unwound, Calexico, Bon Iver, Bardo Pond... you get the idea. Needless to say, he did an excellent job and the record sounds phenomenal. Be on the look out for the first single, coming your way very soon. Finally, in less jubilant news, Spaces called it quits in January, ending their four-year run on a high note. I count myself very lucky to have had the opportunity to release their second LP, Nothing Exists but Atoms and the Void. It's been a true pleasure to work with them and I wish them the best in whatever they may do next. If you haven't picked up their LP, don't delay. There are less than 30 copies left. This was limited to 250 copies. It's pressed on beautiful red vinyl, the cover art is loved by millions and it comes with a beautiful screened poster. Hurry over to our shop and pick this up. That should bring you up to speed. Click on those giant Facebook and Twitter icons above and to the right to get up to the minute updates about our releases, our bands on the road, and other good stuff. Thanks again for your support! We are really excited to bring you the much-anticipated EP from Jordon Salveson, Devil, Don't Wake Me Up. You get six songs that really demonstrate the power of Salvson's song writing ability. If you get into The Tallest Man on Earth, Jeff Buckley, Andrew Bird and the like, you owe it to yourself to get this EP. The best part is that we're offering this EP as a pay what you want download. If you look at the post just below this one you'll see a video for the song Inflated Animals. Check that out then click here to stream and download the EP. Hope you like it as much as we do! Jordon Salveson EP is coming January 29th! On January 29th you can get your first taste of Jordon Salveson with the release of his first EP. The EP is a digital release available as a free download; you can find the links here on the 29th. To hold you over until Tuesday, here's a video for the song Inflated Animals. Get it and a few other gems on the EP Tuesday. As the door on 2012 prepares to slam shut, we wanted to bring you news from around the Walk-In Records universe. It has been a great year for us. Spaces released Nothing Exists but Atoms and the Void on LP and it is nearly sold out. Needless to say we and the band are both thrilled and humbled by the response to this record. If you haven't heard Spaces yet, take a minute and do that right now. There are still a few copies of the album left which can be ordered here. At the moment, the guys in Spaces are taking some time to themselves, basking in the glow of their record's success. Well done gentlemen. In September we announced that Jordon Salveson joined Walk-In. Since then, Jordon moved from Chicago to Nashville and has put together a band to play his songs live. The results are sounding pretty good. Check out this footage from a recent show at Exit/In in Nashville. Jordon is also working on putting together a digital album we hope to release in the next few months as well as starting to record a new album that will be an LP release a bit later this year. Finally, we come to Sister Crystals, the band that started it all. Sister Crystals had a busy 2012 playing shows in and around the greater Chicagoland area and recording their debut LP. The band put a lot of time and hard work into this album and it shows. I heard a rough track from the record recently and I can tell you it's going to knock you down when you hear it. It's not yet ready for the public, but soon, very soon. The Sister Crystals LP will be out in 2013, so get excited.While you wait, why not check out their EP from last year. These five songs are an excellent introduction to the band and the EP is a free download! What's not to love. Go get these songs now! We're extremely excited about all that 2013 will bring and we're very proud of what we've accomplished in 2012. None of it is possible without the bands on the label and those of you who count yourselves among their fans. Thanks to everyone for buying our records, visiting this site, following us on social media, sending us email, talking to us about the label, talking to the bands about their music, telling your friends about our records, playing Walk-In Records on the radio, writing about us on your blog, magazine or newspaper. Whatever you did to support us this year please know we are eternally thankful. Thanks so much for an amazing 2012 and we can't wait to show you what we've got in store for 2013. It's been a busy first year for the label, but we have no intention of slowing down now. As we approach our first birthday, Walk-In Records is pleased to announce that Jordon Salveson is the latest artist to join the label. Jordon is a native of Nashville and has recently spent several years in Chicago. He brings his considerable abilities as songwriter and multi-instrumentalist to Walk-In Records and we are thrilled he agreed to release his records with us. If names like Jeff Buckley, The Tallest Man on Earth, and Sondre Lerche make you sit up and pay attention then you need to spend some time with Jordon Salveson's music. Look for a digital album from Jordon in a few weeks and an LP release late in 2013 or early 2014. In the meantime take a few minutes and check out this song, In a Story or a Dream. Also, read more about Jordon here, then check him out on Facebook and Twitter.